Venue: North-Eastern Hill University (NEHU), Shillong. Foreign policy making and practices is gaining popularity in India. This is evident from my presence here today at NEHU, Shillong attempting to explain these issues to this audience of students and faculty members. This is a welcome development for foreign policy practitioners like myself, a former Indian diplomat, because such growing interest in the subject gives us the confidence that what we do has some relevance to our countrymen. This is so much different from when I joined the Indian Foreign Service in 1984. Then, foreign policy and external affairs was largely considered as an esoteric and strange subject, and diplomats were thought of those lucky guys who lived in great comfort abroad, wining and dining and occasionally let slipping a lie or two on behalf of the nation. From the early 1960s until the late 1980s, India was battling its many challenges at home and had little time or patience for foreign affairs. The only ‘foreign’ object of envy and welcome in our homes in those days was the NRI or PIO brother/sister/uncle or aunt and his or her bag full of goodies like imported chocolates, cookies, perfumes, toiletries, wines and cigarettes, the likes of which were rarely seen then in most Indian homes. Yes, I am talking about a scenario many of you would probably have been too young to remember. Not so anymore. Starting with India’s economic reforms and globalization thrust in the early 1990s, the pace of change in our daily lives and in foreign affairs has been truly astounding. Before we get into the nitty gritty of how foreign policy evolves and is formulated, and who are its principal proponents and players, let us reflect for a moment on what we mean by the term ‘foreign policy’. Very simply, one could say it is an adjunct of India’s domestic policies aimed at protecting and advancing the country’s national interests in the international platform. Let us describe India’s principal goals as reduction of poverty, inclusive growth and prosperity, and peace, security and harmony in the country, in the region and across the worldwide globe. The components of our foreign policy is to aid and strengthen the strategic objectives and measures our country adopts in pursuit of these goals in our dealings with the global community of nations. A second issue on which we need some clarity, is what are the issues that influence India’s foreign policy making. The first and perhaps the most important one is India’s geographic location. As the wise ones’ will tell you, "You may get to choose your friends, but you can’t choose your neighbours.” Therefore our immediate neighbourhood and how well we manage it, has the greatest influence on how effectively we can interact with the rest of the world. India’s strategic culture shaped by its history, particularly the colonial era, its philosophy which emphasizes non-aggressive behaviour, and traditions like ‘Atithi Devo Bhava’(or the guest is God) have influenced foreign policy making significantly. India’s requirements and goals, which have been changing with the times, also impact on our external affairs. For instance, in the first three decades, we needed all the friends and all the assistance, political and material, that India could get, and therefore our founding fathers emphasized on the ‘non-aligned’ aspects of policy so that we could reach out to both camps during the days of the bi-polar Cold war era. Today, that situation has changed. India itself is evolving as one of the many poles in the global political, security and economic architecture and so our non-alignment policy has lost its pride of place. Global and regional challenges are another aspect in the shaping of foreign policy. In the first few decades after Independence, consolidating India’s newly acquired political, social and economic freedom in a world dominated by the two super powers and some older colonial powers, was one of the main challenges to our foreign policy planners. The political instability in our immediate neighbourhood, particularly in West and East Pakistan, the freedom struggles and anti-apartheid movements in our larger neighbourhood in Asia and Africa, were also determinants of policy. Bipolarity, colonialism and racism are less dominant now. Today’s challenges consist of reform and modernization of the global political, economic and monetary systems, symbolized respectively by the United Nations, the World Trade Organization (WTO), the IMF and the World Bank. Globalization is both an opportunity and a challenge. India has benefited immensely since we undertook major economic reforms and opening up to the global trading and investment systems from the early 1990s onwards. However, we are also having to deal with the negative aspects of globalization, such as nuclear proliferation, terrorism, pandemics, human and drugs trafficking, environmental degradation, and cyber crime, challenges which do not respect national boundaries. Foreign policy has to increasingly find a fine balance between India’s national interests and our interests and obligations as a member of the global community of nations. Lastly, the resources available to any country, both in terms of human skills and funds, have a significant impact on the performance of that country in the global stage. In the early decades, India was hugely deficient in terms of budgetary support for its foreign policy outreach ambitions. Naturally our policies and practices had to be tailored to take into account this reality. Today, as the sixth largest economy in the world and government’s revenue collection in a healthy position, the resources available have significantly increased our foreign policy footprint. Let us now turn our attention to the core of the subject of my lecture today. Who makes Foreign Policy in India? If I were to ask today’s audience, the answers would likely be Ministry of External Affairs (MEA) or the Prime Minister’s Office (PMO) or the PM himself. The simple answer is that no single institution or personality can be attributed with having exclusive rights or influence in this area. At different times, one or the other may have been dominant, but as we shall soon see, there are several contributing actors, who collectively build up what we tend to term as India’s Foreign Policy Consensus, which has the backing of the majority of the political leadership of the country, both of the ruling dispensation and those in the opposition. Who then are these actors, influencers and makers of India’s foreign policy? Let us dwell briefly on each. It is true that MEA is the pivotal player in India’s external or foreign relations. A look at the ‘Allocation of Business Rules’ of GOI shows that MEA has been empowered with the task of planning, formulating and managing India’s external relations with other nations to protect and promote national interests in the global stage. Given this basic directive one may mistakenly assume that MEA is the sole agent charged with making India’s foreign policy. In reality, MEA acts like the foreign policy secretariat in India, which receives numerous policy inputs from various sources, and analyzes and channelizes the different options to the political leadership, i.e., the Cabinet headed by the PM, and then implements decisions taken at this apex level. Inputs come from information gathering primarily by Indian Diplomatic Missions (Embassies, High Commissions and Permanent Representative Offices) abroad. Other sources are relevant ministries, departments and agencies in India, from think tanks and research centres like the IDSA and IWCA, from trade and industry associations like CII, FICCI and ASSOCHAM, from academic institutions, and from individual subject specialists. After processing and analysis, the MEA’s views and options approved by the External Affairs Minister (EAM) are forwarded to the Cabinet/Cabinet Committee for consideration. The Policy Planning and Research Division of MEA is the coordinating point. Notes for Cabinet are initiated by the concerned territorial or functional division. In line with issues that have become important in recent times, MEA has established specialized divisions catering to Counter Terrorism, Cyber Diplomacy, E-Governance, etc,. Since the late 1980s, MEA has been strengthening its economic diplomacy capabilities with divisions dealing with investment and technology promotion, now subsumed into its Economic Diplomacy Division, a division looking after Multilateral Economic Relations (MER) and specialized centres for our ties with ASEAN and BIMSTEC, which are primarily focused on strengthening economic ties. A Development Partnership Administration (DPA) was created a few years ago, to bring together all elements involved in India’s role as a preferred assistance partner to developing countries particularly in Asia, Africa and Latin America. The D&ISA Division has been in existence for over three decades dealing with nuclear proliferation, disarmament and related issues, including India’s bid for membership of the Nuclear Suppliers Group (NSG) and related bodies. Functional divisions like Administration, Establishment, Finance and Legal and Treaties, provide the tools and environment needed by Indian diplomats at home and abroad to discharge their functions effectively. The External Publicity Division of MEA, which has sponsored and arranged today’s lecture in cooperation with NEHU, is an effective recipient of foreign policy inputs particularly from the media. It is also the chief source of dissemination of information on India’s foreign policy objectives and measures, a key player in the success of Indian diplomacy initiatives. The MEA is also the primary department responsible for all passport, visa and consular issues. Passport and visa policies, in which the Ministry of Home Affairs (MHA) has a major say, are piloted by the MEA which also discharges citizen-centric services like issue of passports and provision of consular services to all Indian nationals in India and those living abroad. It is the principal source of visas for foreign nationals desiring to visit India for various purposes like tourism, business, studies, medical services, etc,. OCI cards are issued mainly by our diplomatic missions abroad to eligible persons of Indian origin. All the functions and departments of the former Ministry of Overseas Indian Affairs, including the Protectorate of Immigrants, are now vested with MEA. In effect all Diaspora issues, including the safety and security of Indian nationals residing abroad, are under the policy making purview of MEA. The Cabinet being the top most decision making body of the government, determines the course of India’s external relations by giving necessary directions. Cabinet Ministers are the most trusted colleagues of the Prime Minister and assist and advise him or her on major foreign policy issues, including during times of crisis. Cabinet decides on measures to strengthen India’s external security in consultation with MHA, MoD and MEA. Regarding foreign trade and investment issues, the prime consultants are the Ministries of Commerce and Industry, Finance and External Affairs. The main function of the relevant cabinet committee is to examine the various activities of the ministry and to give policy directives to the respective departments. Though none of the current cabinet committees (like the CC on Security or CC on Economic Affairs) deal exclusively with foreign affairs, the issues dealt by such CCs, directly impact India’s foreign policy and practices. EAM, Smt. Sushma Swaraj is member of four cabinet committees on Economic Affairs, Parliamentary Affairs, Political Affairs and on Security. The PMO consisting of senior level bureaucrats provides secretarial assistance and advice to the PM and functions as the centre of policy making in India. It coordinates various central agencies like the Cabinet, Cabinet Committees, Council of Ministers and other stakeholders to sort out interdepartmental hurdles in domestic and foreign policy execution. During PM Nehru’s time, since he was both PM and EAM, the Prime Minister’s Secretariat (as PMO was known then), became the centre of foreign policy decision making. This trend has continued with each PMO assuming the central role in all policy, including foreign policy decision making, often bypassing the Cabinet, Cabinet Committees and Council of Ministers. The current PMO consists of the Principal Secretary to PM, the National Security Advisor (NSA), an Additional PS to PM, Secretary to PM, two Additional Secretaries, five Joint Secretaries and several other officers at the levels of Director, Deputy Secretary and Under Secretary. The Prime Minister, almost without exception, has been the central figure in foreign policy decision making since Independence. All important matters on foreign policy and security need PM’s approval before implementation. The NSA is an important and influencing factor in the advice reaching the PM. Successful foreign policy formulation and execution depends on the degree of coordination between the PMO and MEA. PM’s approval is crucial in appointment of Indian Ambassadors and High Commissioners abroad, though the formal letter of appointment is issued by the President in his capacity as Head of State. In other words, on all major foreign policy issues, the buck stops at the door of the Prime Minister. This is an apex body of the Government of India, which advices the Government on matters of India’s National Security, Foreign Policy and Defence. Although the final decisions rest with the PM and the Cabinet, in recent years, the National Security Council has emerged as an important stakeholder in the shaping of India’s foreign and security policies. Chaired by the PM, the NSC consists of the Ministers of External Affairs, Defence, Home and Finance, the NSA and the Deputy Chairman of Niti Ayog (successor to Planning Commission). The NSA is the Secretary to the National Security Council. The NSC is a three-tier organization consisting of the Strategic Planning Group, the National Security Advisory Board and the Joint Intelligence Committee. Strategic Planning Group (SPG) – this is the top most decision making body at the bureaucratic level, The SPG is responsible for formulating and implementing India’s strategic policies. Headed by the Cabinet Secretary, the SPG is also assigned to make long term strategies for India’s military doctrine. Its members includes secretaries of all important ministries and departments like Home, Defence, External Affairs, Defence Production, Revenue, Atomic Energy, Space, the heads of R&AW and IB, the Chiefs of the Army, Navy and Air Force, Chairman CBDT, RBI Governor, Scientific Advisor to RM and Chairman JIC. This Group meets periodically and continuously observes national and international security environment and takes necessary steps to neutralize possible threats. National Security Advisory Board (NSAB) – the Board consists of members from outside the government, advises it on matters related to national security and development. It does long term analysis and provides perspectives on issues of national security. Its membership includes eminent professionals, academics, scientists, administrative experts and retired bureaucrats. Headed by Amb. (Retd.) 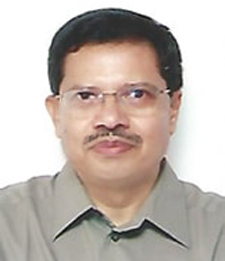 P. S. Raghavan, currently the NSAB has four members. Joint Intelligence Committee (JIC) – this Committee receives intelligence inputs from the IB, R&AW, and the Directorates of Military, Naval and Air Intelligence, respectively. It is the highest intelligence assessment organization, tasked with inter-agency coordination, collection and analysis of intelligence data. Headed by a Chairman (usually an Additional Secretary from the Cabinet Secretariat), the JIC has representatives from MEA, MoD, MHA, IB, R&AW, Dte, MI, Dte. NI, Dte. AI. It sometimes directs the relevant intelligence agencies to conduct certain intelligence gathering tasks, based on the input or demand from the Government. The JIC is an important and effective advisory body to the PM and Cabinet in decision making on matters related to foreign affairs and defence. The Government/PMO seeks the Ministry of Defence's views on matters related to defense policy and national security. The Raksha Mantri (Defence Minister) is a member of the Cabinet Committee on Security and of the National Security Council. The Secretary, Department of Defence, Secretary (Defence Production) and the three service chiefs (Army, Navy and Air Force) are members of the Strategic Planning Group. In recent years, a joint secretary level officer from MEA is seconded to the MoD to handle Planning and International Cooperation tasks of the Ministry. The Department of Commerce (DoC) together with the MEA and the Ministry of Finance is largely responsible for conducting India's economic diplomacy. On trade issues at the WTO, bilateral and multilateral FTAs, etc, policy is largely initiated and formalised at the DoC. Investment and taxation issues are coordinated by the MoF in consultation with MoC, MEA, CBDT, Customs, etc,. India's Parliament (Lok Sabha and Rajya Sabha) has the power to legislate on foreign affairs, one of the subjects in the exclusive domain of the central/union government. This authority includes legislation or amendment of any law for the successful implementation of international treaties, agreements and conventions. Government is accountable to Parliament, which can seek information and clarification on policies and issues. Theoretically, by exercising budgetary control and passing necessary resolutions, Parliament can force the executive to act as per the will of the Government. However, the government of the day normally enjoys the support of the majority of members of Parliament, and such a situation would not normally occur, unless the government has lost the confidence of the House. Among its important oversight functions, Parliament has a Standing Committee on External Affairs and a Standing Committee on Defence, which grill the officials on issues pertaining to foreign relations and external security. Parliament may also constitute ad hoc committees to look into specific issues. Though foreign affairs is exclusively a central subject as per Constitutional provisions are concerned, this does not mean that State Governments are not involved as far as policy making is concerned. The States adjoining our neighbouring countries have a major say in cross border issues. For example, the Ganges Water Sharing Treaty with Bangladesh would not have been possible without the support of the West Bengal Government. Similarly the issues of enclaves (sovereign territories of India and Bangladesh surrounded entirely by the territory of the other) which was left hanging over since the boundary treaty with Bangladesh in 1972, could be sorted out only recently with the active cooperation of the States which share a boundary with Bangladesh, including Meghalaya. Water and land boundary issues with Pakistan have to take into account the views of the adjoining states of J&K, Punjab and Gujarat. In our dealings with Nepal, UP and Bihar are key dialogue partners. Tamil Nadu has had a disproportionate influence on India's policies towards Sri Lanka due to the Tamil factor. Other states, which historically took a back seat on foreign affairs in the past, are more active in this century, particularly on issues that have a direct bearing on their populace. For example, Kerala is quite active on NRI and PIO issues for obvious reasons. Trade, investments and national and international security issues bring forth the views of states on these matters. Recognizing the importance of carrying States along as co-partners for success in foreign relations, MEA has established a dedicated States Division, which acts as its interface with all states. Heads of Missions and Commercial Officers of our Embassies and High Commissions are encouraged to regularly visit the states of their concern. Not long back, the only significant group outside government exercising any level of influence in foreign affairs were our dons in various universities, research centres and think tanks. Significant early birds are the School of International Studies at JNU, the MEA supported Indian Council of World Affairs (ICWA) and the Defence Ministry supported Institute of Defence Studies and Analysis (IDSA). Other players are the Institute of Chinese Studies (ICS), the RIS (Research and Information System for Developing Countries), ICRIER (Indian Council for Research on International Economic Relations), Centre for Policy Research (CPR), Observer Research Foundation (ORG), and Vivekananda Foundation, all based in Delhi and the Gateway House in Mumbai. International relations studies departments in universities and colleges, including in Delhi and Mumbai and in a few upcoming private higher educational institutes, contribute inputs towards India’s foreign policy calculus. There have been some outstanding statesmen, scholars, civil servants and diplomats whose guiding hand in shaping India's foreign policy, particularly in the initial decades, must be acknowledged. They are, Sardar K. M. Pannikkar, KPS Menon Sr., KR Narayanan, K Subhramanium, G Parthasarathy, JN Dixit and Brajesh Mishra, among others. Their bold outlook and perceived influence with leaders like Jawaharlal Nehru, Indira Gandhi, Narasimha Rao, IK Gujral, and Atal Bahari Vajpayee, gave them the platform to induct crucial inputs in the evolving foreign policy architecture of India. Voices of non-political groups, associations and organizations are important sources of influence in shaping government policies, including in foreign and security issues. Some of these groups, like friendship associations, are formally established and registered with the concerned authorities and have greater access to the policy makers, while others are informal but wield influence primarily through making their views known through various media, including through writings in influential journals and magazines, and lately through social media. The established media in India particularly, newspapers, journals and television is taking increasingly greater interest in foreign affairs issues than in the past. This is a healthy development as Government is forced to factor in the views from the ground before deciding on issues which may affect the lives of its citizens directly or indirectly. The role of social media particularly in highlighting Indians in distress abroad and provoking government into action, is only too well known. NGOs are growing in stature not only for their work among the masses in India, but also in significantly influencing policy decisions, some of which have a bearing on India's external relations. NGOs dealing with environment, human rights and migration issues are very active in India. Big business, particularly the house of the Tatas and Birlas played a benevolent hand in the shaping of the newly independent nation and its national and global outlook. In the post reform period, business organizations, like FICCI, CII, ASSOCHAM, NASSCOM, etc., could be regarded as akin to US lobbyists groups, which engage with government to create a favourable business environment to suit the interests of their members. Foreign trade and investment as a component of India's GDP has been on the rise since the 1990s. Obviously much of this interaction seeks to influence government to adopt policies that favour Indian exporters, importers, recipients of FDI and Indian investments abroad. Government in turn uses the expertise and resources available with such business groups to conduct its economic diplomacy. It is now customary for senior leaders, including Presidents, Vice Presidents, PMs and relevant ministers to have business delegations accompany them on their official visits abroad. Similarly, during visits of foreign leaders to India, who are also seeking to advance their ties with Indian businesses, the concerned country embassy and MEA or MoC seek the participation of such business groups to organize and conduct the business related events. Such activities not only enhances Indian businesses to influence policy at home but also with governments abroad. A case in point is the favourable environment created for Indian IT companies in the US through sustained lobbying there by NASSCOM. Once taunted as the 'Not Required Indians', in a major policy turnaround since the 1990s, the Non Resident Indians (NRIs) and the Persons of India Origin (PIOs), most of whom today hold the OCI card giving them access and facilities similar to NRIs, are an established factor in Indian politics. Growing in wealth and influence and India's quest to use its diaspora population across the globe for its national and international priorities, the NRI and PIO lobby is gaining influence in ensuring national and international policies are tilted in their favour. We have listed above eleven entities in response to our simple question,”Who makes Foreign Policy in India.” If we were to further enquire as to which among them have the greatest say in foreign policy decision making, the obvious answer would be those in government starting with the Prime Minister, his Cabinet, the relevant ministries, including MEA, etc,. Among those outside the government structure, depending on the subject matter, organizations and individuals who have the attention of decision makers and have access to considerable resources, including the media, probably wield the greatest influence. The views of early Indian thinkers on the significance and importance of foreign policy were based on the ancient treatise Arthashstra, a masterpiece on governance and diplomacy. Leaders like Bal Gangadhar Tilak, Mahatma Gandhi, Jawaharlal Nehru and Subhas Chandra Bose, among others, took an active interest in securing external support for the Indian independence movement, particularly with India’s traditional diplomatic partners in Asia, Africa and parts of Europe. Efforts were also made to solicit US support, particularly in the period between the two world wars, when Britain’s strength was ebbing and that of America rising. In the pre-Independence period, when the Indian National Congress was the dominant political force in an undivided India, the focus of our national struggle leaders was primarily on how to deal with the great powers of UK, USSR, USA, Germany and Japan. There were sharp differences between the mainly Hindu leadership of the INC and the Muslim League on how to address the grievances of Muslims of the sub-continent and their relationship with larger Islamic world. The Khilafat Movement in Ottoman Turkey and developments in the Middle East in the early 20th century; the use of Indian military forces to the assist the British war effort outside India; and the creation of the Indian National Army (INA) by Subhas Chandra Bose and its alignment with the Japanese in WW II, were subjects of intense debate and differences among Indian nationalists. INC leaders, particularly Nehru were active in organizing the Asian Relations Conference in New Delhi in 1947, a precursor to the 1955 Afro-Asian Relations Conference held in Bandung, Indonesia, which was the beginning of the NAM movement. In this period, majority of Indian independence movement leaders supported anti-colonial liberation movements in other parts of the world, opposed racial discrimination and imperialist wars, and condemned the US atomic bombing in Hiroshima. Following India's Independence, foreign policy making was largely influenced by a strong leader like Prime Minister Nehru, who retained the External Affairs Ministry portfolio. He personally interviewed and appointed most of the Indian Ambassadors posted abroad. Panchashila or ‘The Five Principles of Peaceful Coexistence’, was the cornerstone of Nehru’s foreign policy initiatives and formed the basis of India’s bilateral relations with Burma, Cambodia, China, Laos, Nepal, Vietnam and Yugoslavia. Following Nehru, Prime Ministers Lal Bahadur Shastri, Indira Gandhi, Rajiv Gandhi, P. V. Narasimha Rao, I. K. Gujral, Atal Behari Vajpayee, Manmohan Singh and Narendra Modi have each initiated measures signifying their unique contribution to the making and execution of foreign policy in modern India. Among the major recent successes in foreign policy we could count India’s Look and then Act East policy, post-Pokhran diplomacy, the Civil Nuclear Initiative with the US, the Gujral Doctrine in relations with neighbours, particularly Bangladesh, Bhutan, Nepal and Sri Lanka, Diaspora Diplomacy which has been ramped up considerably by Prime Minister Modi, and reaching out to distressed Indian citizens abroad mainly using social media, which has been the hallmark of EAM, Sushma Swaraj. Before we conclude, it would perhaps be in order to take a peek at what might the major initiatives and challenges for Indian foreign policy in the near future. India will need access to modern technologies in health, energy, agriculture and industry, and also adopt new media platforms. We will need to keep pace with myriad changes in the global political, security and economic scenario, avoid getting into a situation India cannot handle on its own, and not simply be co-opted into the existing international order, but to be in a position to change the rules of the game. Foreign policy will have to focus on market and investment needs of India, particularly to ramp up our deficient infrastructure and low levels of human development index. In the long run India needs to be everyone's friend and partner, without tilting to any particular country or bloc. Ladies and gentlemen, as you will no doubt conclude, foreign policy making and implementation is both dynamic and exciting. We are confident that a greater number of our citizens, particularly from the younger generations like yourselves, will not only take an active interest in this subject, but will also participate in the process. Thank you for your patience. The views expressed in today's lecture do not necessarily reflect that of the Government of India or the Ministry of External Affairs.